With the opening of each new five-star hotel in Macau, the city’s burgeoning culinary reputation takes another leap forward. 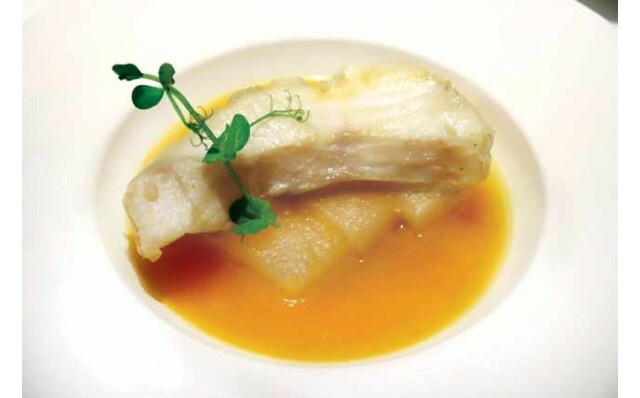 The city now boasts numerous award-winning restaurants, driving ever-higher standards of fine dining in the enclave. 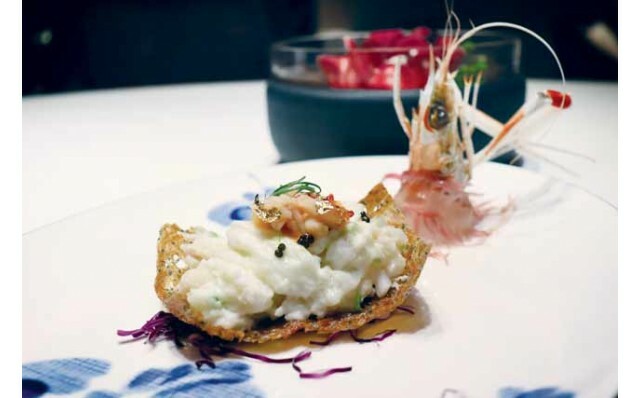 Lai Heen, at The Ritz Carlton, Macau serves refined Cantonese cuisine and is a notable addition to the city’s gourmet dining scene. It’s clear that no expense was spared in fitting out the outlet. Conceived by admired Japanese designer Izumi Hasegawa, Lai Heen’s décor is nothing short of awe-inspiring. Located in the Ritz Carlton on the 51st floor of the Galaxy Macau and commanding a panoramic view of Cotai, the restaurant’s avant garde interior displays immaculate design and craftsmanship – corridors lined with intricate motifs; beautifully made ceramic vases; an expansive wine storage glass structure, and thoughtful semi-private dining areas adorned with dark wood panelling and dizzying lighting fixtures suspended from the high ceiling. What amazed us is the glorious detail of the décor and the amount of care and effort that has gone into creating the desired dining ambience – you can call us unreservedly impressed. We chose dishes from a special Michelin Desgustation Dinner Menu (MOP $2,088 for 10 courses, including a glass of red wine, and MOP $550 additional for wine pairing upgrade or MOP $500 additional for tea pairing) to commemorate the hotel’s third anniversary. Our dinner started with a trio of delightful appetisers: Organic Cauliflower with Truffle, Crispy Alaskan Crabmeat with Egg Yolk, and Braised Pork Belly with Hawthorn and Dried Plum – all delicately prepared. Next was Simmered Garoupa Fillet with Wintermelon in Sichuan Sour Soup – we liked the zesty flavour that the spicy sour soup brings to the fish fillet. Then came a real treat, Wok Fried French Blue Lobster, Scampi with Egg White in Crispy Nest – the quality ingredients speak for themselves. We closed our dinner with Deep-fried Prawns with Tangerine Sauce, which were tender and savoury and Simmered Seasonal Vegetables with Yu Fungus in Superior Chicken Broth Soup – a healthy and tasty dish, before wrapping up with Chilled Almond Tofu with Taiwanese Mango as dessert. 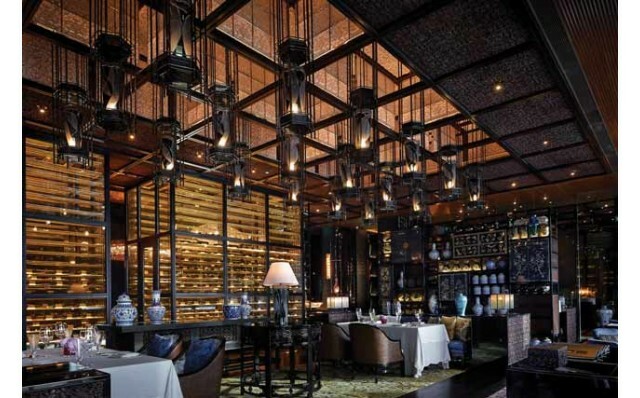 Lai Heen offers an excellent collection of wines, which we highly recommend pairing with your dishes. The knowledgeable staff can make suggestions.